I remember the first time I heard a supervisor say, “you don’t go into this for the money,” I thought well uh oh, I’ve made a massive miscalculation because I’m gonna default on all those student loans if you can’t earn a living doing this. I like many clinicians here, didn’t go to graduate school in psychology to get rich, or let’s be honest with the idea of money or earnings in mind at all. I went like many others did because I had been told I was “intuitive,” “helpful,” “empathic,” etc., You know you heard the same things. I had also heard I had a sound business mind in other jobs, but I certainly didn’t mention this in my application interview for graduate school. Now, here we all are in a sea of online marketing, people branding themselves, advertisers studying our buying habits and more. We’re inundated by data and much of it is from companies promoting their services. As consumers we are often glad for this branding and marketing it directs us to the best books, products, tools for our children and more; it also keeps us safe as we can compare and contrast using the very best professionals and services. 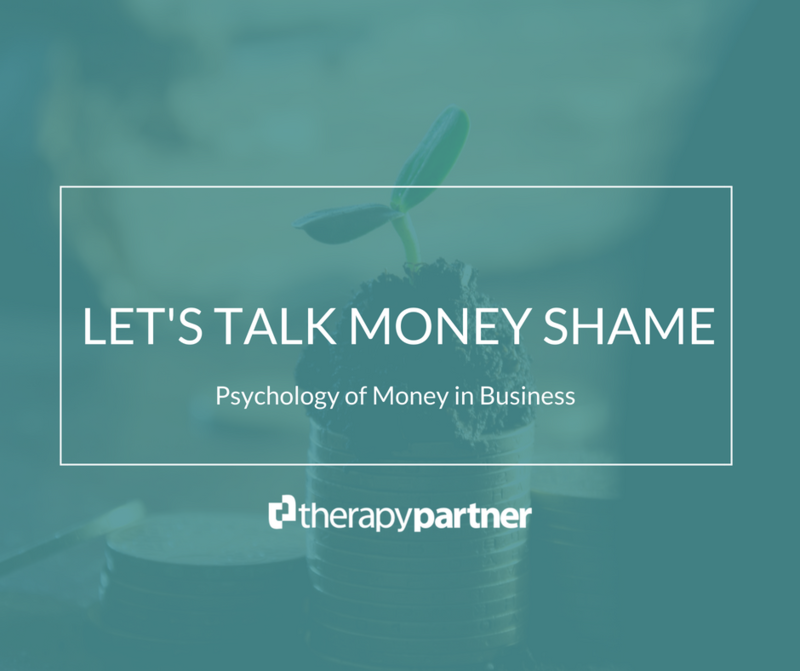 Lastly, an entire field has actually arisen around therapists helping the public with money shame and the emotional impact of financial issues. It appears we are starting to heal ourselves and now healing others as well. Money Talks, in Therapy, Society, and Life, edited by Brenda Berger, Ph.D. and Stephanie Newman, Ph.D., )a coterie of esteemed psychoanalysts reflect on their patients’ feelings about money and their own struggles with money, both in the clinical situation and in their own lives).